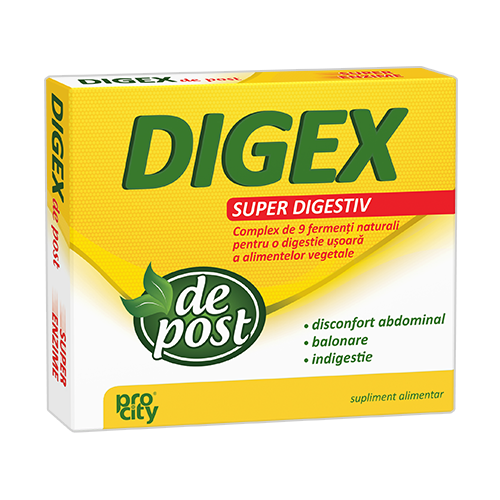 The perfect solution during fasting periods, vegetarian regimes and dissociated diets. 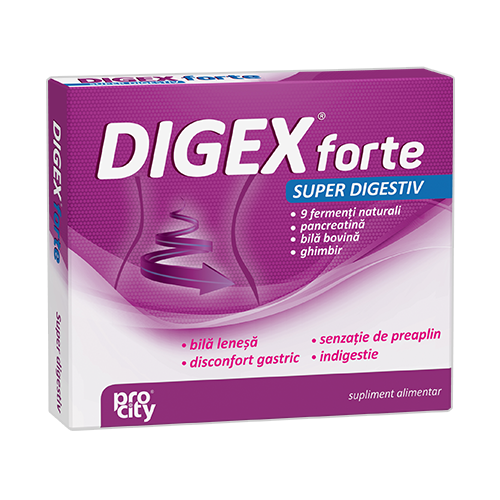 DIGEX® FORTE SUPER DIGESTIV contains a complex of 9 digestive enzymes, ox bile and ginger – natural ingredients combined in an innovative formula that efficiently withstands the indigestion after heavy meals, being a reliable ally during holidays and other festive events. 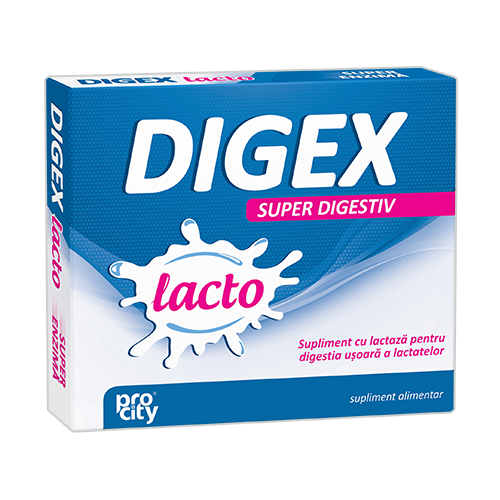 DIGEX® LACTO SUPER DIGESTIV contains natural lactase, enzyme that acts upon lactose from milk and dairy products, ensuring its digestion. 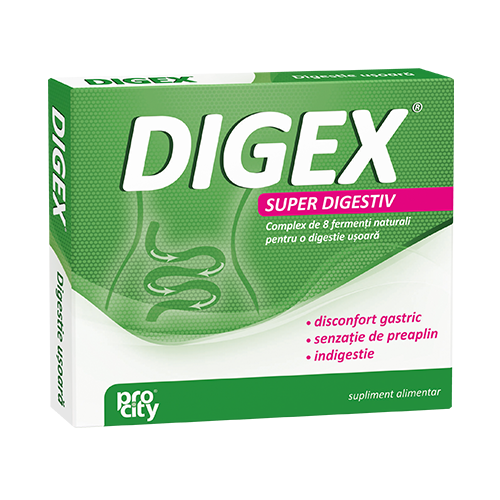 DIGEX® SUPER DIGESTIV contains a complex of 8 digestive enzymes that act upon a great variety of foods, ensuring their digestion. Fiterman Pharma 2017. All rights reserved.